"Every corporation is filled with people. If you can inspire the employees to care about your cause, and you do great customer service with them, you’ve got a friend for life." Colleen Brinkmann has been raising money for a long time. Way back in 2002, she started as the communications and marketing director for the North Texas Food Bank. It wasn't easy back then. "We said yes to everything," Colleen told the Chronicle of Philanthropy. "When anyone wanted to do a food drive, we said yes, whether it was Joe Bob’s Tire Shop or AT&T." 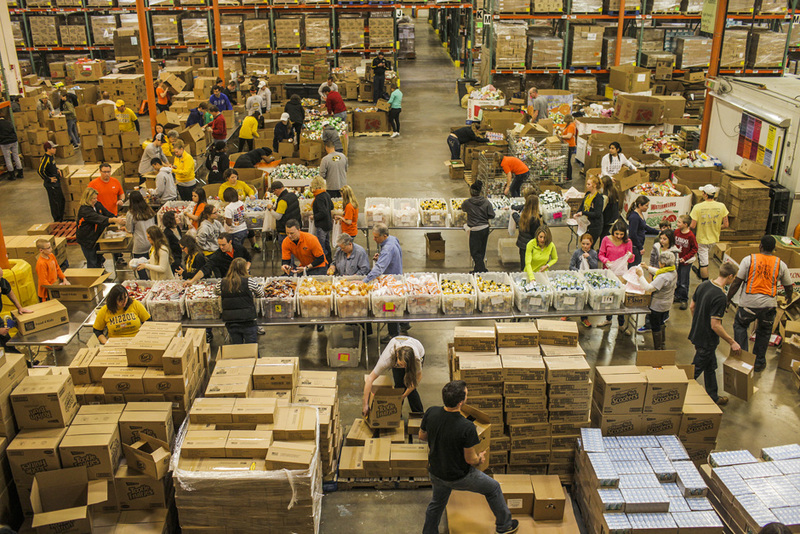 The food bank has come a long way in the past 15 years. In 2016, it raised $127 million in cash and donated goods. Along the way, Colleen learned a couple important lessons about raising money. Brands Command. Colleen had a simple goal when she arrived at the food bank: to make the nonprofit a household name. She accomplished this largely through earned media, like front page newspaper stories on the food bank. Today, the nonprofit boasts 47,000 donors. Branding - and the audience building that flows from it - should be the number one focus of your organization. Having a strong brand is like a magnet, pulling in individuals, foundations AND businesses. With a strong brand, everything is possible. Without it, you'll never attract the right kind of partners, or anyone else. Companies Deserve More Attention. Colleen understands that companies are powerful conduits to the most lucrative fundraising group: individuals. "Every corporation is filled with people," she said. "If you can inspire the employees to care about your cause, and you do great customer service with them, you’ve got a friend for life." Colleen didn't stop with traditional corporate giving and neither should you. The real money in working with companies is in its employees and customers, and not in the company checkbook. This year, the food bank received 16 commitments for donations of one million dollars or more. I'd wager at least a few of those of gifts came from her contacts in the corporate community. Companies are more motivated than any other time in history to work with causes. They also have gobs of individual weatlh, marketing prowess and a millennial workforce. Giving what we know about the assets in companies and Colleen's success working with them, why wouldn't any nonprofit NOT want to work with companies?